Archaeologists from The Australian National University (ANU) have unearthed fragments from the edge of the world’s oldest-known axe, found in the Kimberley, WA. The project was an Australian Research Council Linkage grant awarded to Professor O’Connor ANU and Professor Jane Balme of The University of Western Australia, Chief Investigators of the KFA-sponsored Lifeways project. 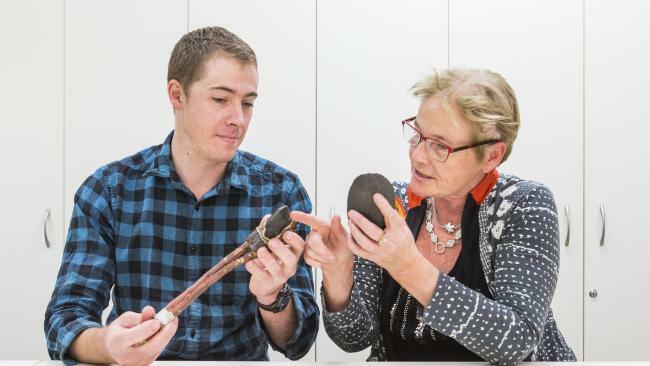 Although the site was excavated in the early 90s the redating and reanalysis of artefacts by Tim Maloney at ANU has been funded by the Lifeways project.